We've now confirmed your place at day one of the International PB Conference 2016. Thank you! We'll offer your place to someone else. 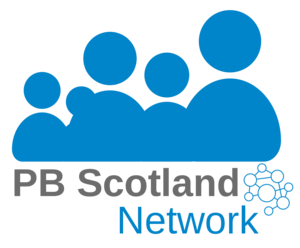 You can still follow everything that happens at the conference on the PB Scotland site. You can attend ONE workshop in the morning and to help make sure you get a workshop that you'll enjoy, we're asking you to pick TWO preferences in the morning. You can attend ONE workshop in the afternoon, please pick TWO preferences for the afternoon. We can't promise you'll attend your preferences, but we'll do our best. If we don't hear back from you by a week before the conference we'll assign you a workshop. Read about the 10 workshops below and then fill in the form at the bottom of the page. This workshop will demonstrate how the Young Scot e-voting system works and how it can be utilised for participatory budgeting. The web-based e-voting system is a tool that enables young people to participate in civic democracy and participatory budgeting. The system is used every two years for the Scottish Youth Parliament elections, enabling thousands of young people across Scotland to vote in elections. The workshop will also show how the Young Scot rewards programme and Young Scot social media and digital platforms can add value to the e-voting system and increase youth engagement and participation. This workshop will give you an insight into the Coalfields Community Futures programme and the specific participatory budgeting fund. You'll learn the process involved, from the community survey where issues are identified to the and Community Festival where local people can vote for what they wold like to be funded. You'll also see the progress this type of work has made, and see how over £800,000 has been award to 318 projects across 28 communities in just five years. In this workshop we will be exploring how others have sought to develop a PB programme that works at scale and across a wide geographic area. Programmes able to direct services that local people value, and that bring improvements to recipient’s quality of life and that can better target limited resources or reduce inequalities. Hear from a range of examples, based on many years of exploring how to mainstream PB. This workshop will provide you with the opportunity to get hands on experience with digital PB tools that will be tested across Scotland in the coming months. Digital engagement tools provide the potential to increase the reach of PB projects and help support staff to deliver high quality PB processes including: idea generation; deliberation; prioritisation and voting. There will be lightning presentations from international technology providers, showcasing the digital tools they have developed for participatory budgeting. Attendees will also have an opportunity to try out demos for each tool and discuss with technology providers how digital engagement could impact on their PB work. In this workshop we will be exploring the case of the social strategic plan of Sabadell, which aims to reduce the social consequences of the economic recession. How can we integrate evidence based policymaking and participatory budgeting in a strategic plan to reduce inequalities? We will also discuss about the key parts of the participatory model we used to design the process, a model that can be used to other public processes. In this workshop you’ll hear reflections from people with experience of using Digital Tools in participatory budgeting projects in Scotland and beyond. Scottish insights will come from Edinburgh City Council, who recently trialed digital voting in their flagship £eith Decides project; and Fife Council, who have used digital tools for idea generation in their Oor Bit project. International technology providers, César Silva (Change Tomorrow, Portugal) and Róbert Bjarnason (Citizens Foundation, Iceland), will be providing reflections on Scottish PB processes and learning from their experiences in their respective countries. This will be followed by a facilitated conversation and Q&A. PB in Denmark: Has the welfare state undermined the need for citizen participation? This workshop presents hands on experiences from introducing PB in Denmark. We will be exploring how the Danish tradition for making associations, cooperatives and local democracy can be both a strength and a challenge when trying to spread the concept of PB. We will have a detailed look at the successful practical experiences of engaging people in PB in the rural Council of Hedensted and match this to an overview of the general findings from introducing PB in Denmark. What works, what does it foster and why? But are there challenges? PB is great and easy when people get the methodology and the idea. But what if they don’t? Participants will be invited to discuss their experiences of how to engage the people who think they need neither money nor engagement. If you're traveling from a different continent or from just round the corner, check out our Travel and Venues page to make sure you make it to conference... and have somewhere to sleep! Take part in an interactive workshop where you are able to create your own proposal for a park in our City, and vote for a winner. 'Visual Budget' is an e-tool created for Swedish municipalities and has been used across the country in the last few years. Visual budget makes it easier for citizens to learn about costs and visualize their ideas. Learn about the administrative part of the tool and get hands-on with guidance from SALAR colleagues. SALAR repersents the governmental, professional and employer-related interests of Sweden's 290 municipalities and 20 county councils/regions. In this workshop we will explore how 3 different local authorities shared a PB learning process and proceeded to implement PB in their own way. Each of the authorities used a variety of methods to support communities and encourage groups to communicate their message to the voting audience, including poems, a visit from the Gruffalo, a take on the 2 Ronnie’s “Fork Handles” sketch, flying bunting and music from members of a brass band! In this interactive workshop we will hear about the different processes in each area and what impact PB has had in their communities. Delivered by Paul Nelis & East/South/North Ayrshire Councils. This interactive workshop will provide space to collectively reflect on the pleasures and pressures of facilitation practice and how dialogue and deliberation (two distinct, but complementary, approaches to communication) can help to facilitate PB processes. Participatory processes should provide space for meaningful and productive conversations. Often, this is easier said than done. Good facilitation can be the key to ensure high quality communication between participants, and good outcomes as a result of the process. Your name and email address must be the same as the ones you used to register your interest - if someone else is going in your place email us. Thanks! You've told us your workshop preferences. Been offered a place but can't make it? Tell us and we'll offer your place to someone else. If you're having trouble with the form, or need any other help, email info@pbscotland.scot.